A common problem in the knee is damage to the Anterior Cruciate Ligament, commonly known as an ACL injury. The extent of the injury will vary from person to person but symptoms can include substantial discomfort and difficulties carrying out normal activities of daily living. In the worst case scenario the injury can mean the end to an active lifestyle, but before getting to this stage a simple exercise programme can reverse the situation and help avoid surgery. Occasionally a surgical reconstruction is required and our physiotherapists are trained to take you through the rehabilitation process. 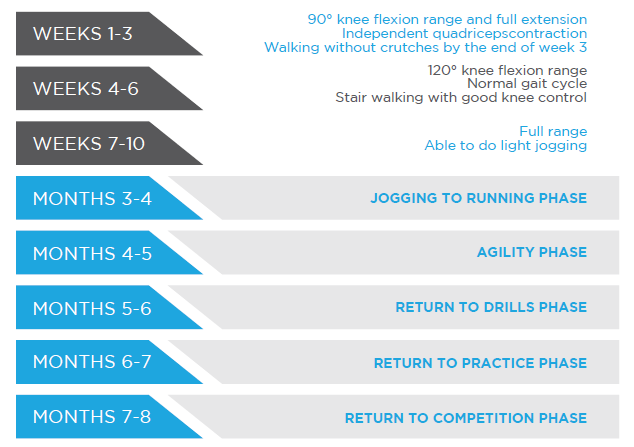 This programme is recommended for patients who suffer from mild to moderate rupture or “tear” of the ACL without other structures damaged or conditions contributing to the deteriorating knee pain. Strengthening the weakened muscles through resistance training, manual facilitation, biofeedback machine, etc. 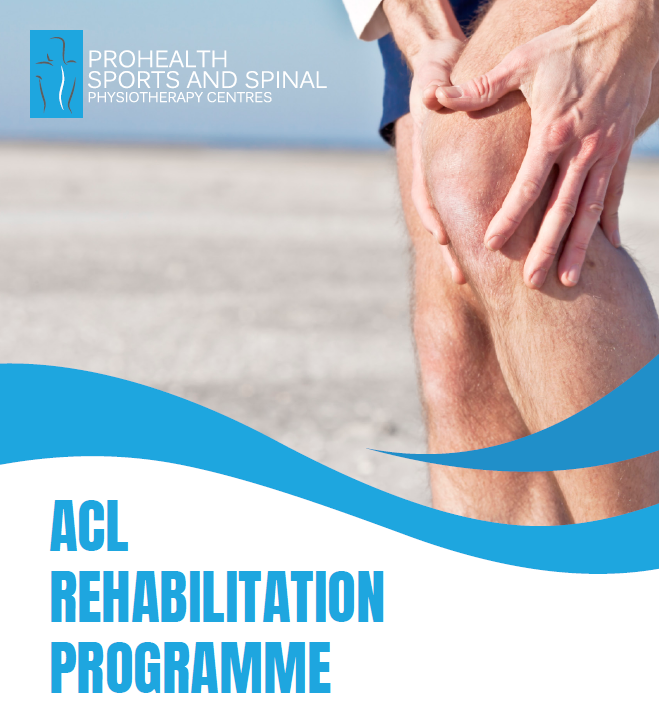 This programme is recommended for patients who suffer from mild to moderate rupture or “tear” of the ACL without other structures damaged or conditions contributing to the deteriorating knee pain. This rehabilitation program is designed for patients who have undergone ACL reconstruction surgery. Rehabilitation outcome may vary for individuals who have undergone other surgeries at the same time, e.g. Meniscal repair.